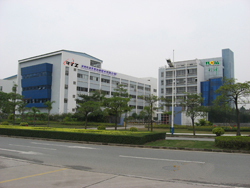 Founded in 2000, ShenZhen Runtianzhi Digital Equipment Co.,Ltd. 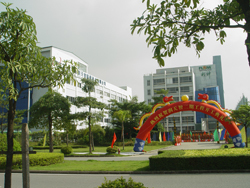 is an ISO9001:2000 certified inkjet printer manufacturer in China. We have facilities which cover an area of 15,000 square meters and 500 employees, including: 14 electronic engineers, 8 software engineers, 27 mechanical engineers, and 6 test engineers. We produce 2000 units of color inkjet printer, eco solvent printer, and UV flatbed printer per year. 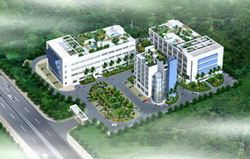 Runtianzhi has developed into a state-level high-tech enterprise with independent, intellectual property rights. We are a member of the Printing and Printing Equipment Industries Association of China, and we are one of the primary contributors in the drafting of national standards for large-format inkjet printers. In addition, our company has participated in establishing the inspection standards of import and export commodities. We are located in Shenzhen, a southeast coastal city of China, where we have access to many kinds of transportation, such as ports, railways, highways, and airports. This helps us to reduce our transportation cost. In addition to providing high quality and low-priced products, we also provide excellent services for our customers. For instance, we will offer installation service and free training on installation and operation. We provide a one-year warranty on our products, during which, we give free repairs and replacement service on parts and accessories.